Thanks for stopping by! In this post I bring you a FREE pattern and tutorial for a Reindeer Cushion, perfect for decorating your home at Christmas. How far do you go with decorating your home for Christmas? Are you a tree and that’s it kind of person or do you go the whole hog and essentially light up the neighbourhood with all of the lights adorning your home? Me, I’m somewhere comfortably in the middle. We have two trees (unusual house layout means that we have two living rooms), but I also have lots of other bits and pieces around the house. I even decorate the spare room for any festive visitors. I also like to add a few home furnishings when I’m decorating the house. This is where the inspiration for this cushion came from. 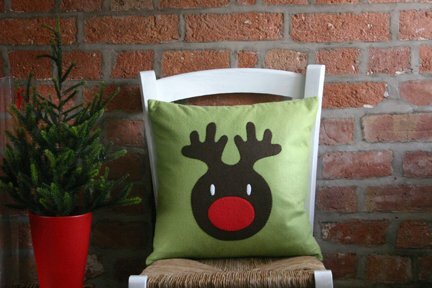 This Reindeer Applique cushion is bound to become a favourite year after year, just check out that nose! I have made this version from wool and acrylic felt, but you could just as easily make it from quilting cottons in solids or with a small subtle print, the choice as ever is yours! This pattern has been designed to fit a 16″ square cushion/pillow insert. 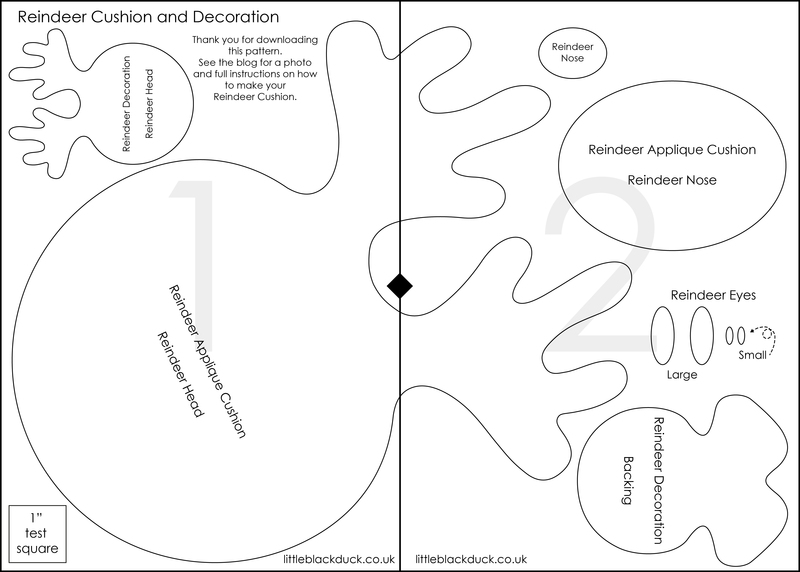 Download your Reindeer Cushion Tiled Pattern Pieces. When you print out your pattern pieces make sure that you print them actual size and don’t scale or fit to page. 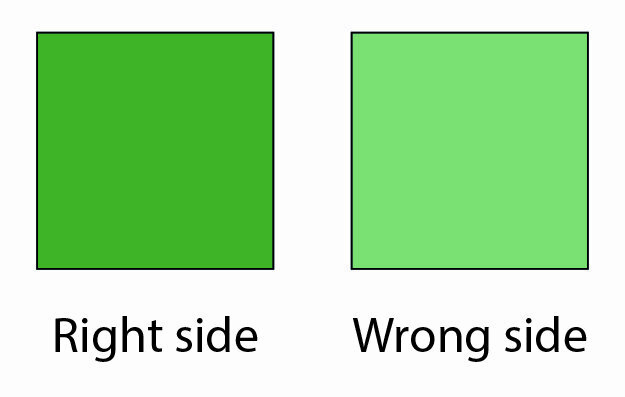 There is a test square on page 1 if you are not sure and want to check before printing the second page. 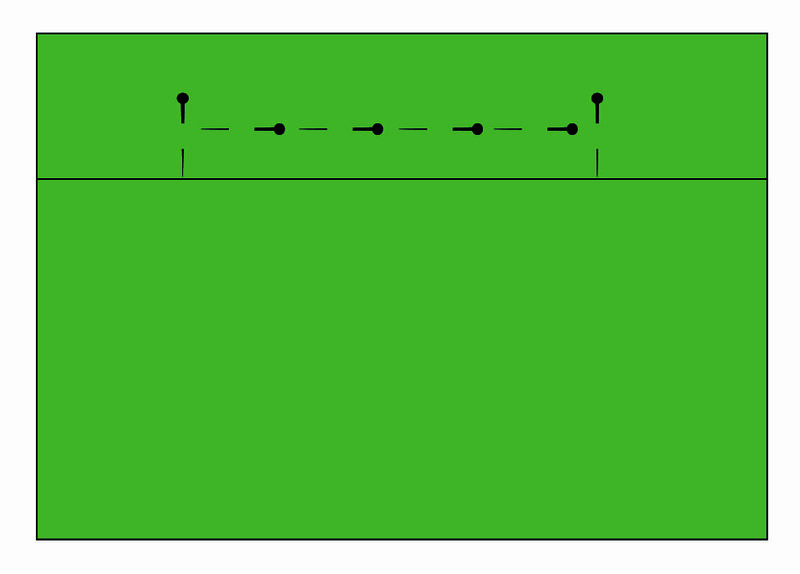 The pattern pages are designed to be printed out on either A4 or US letter. The pattern pieces will look a little like this once you have stuck them together…. 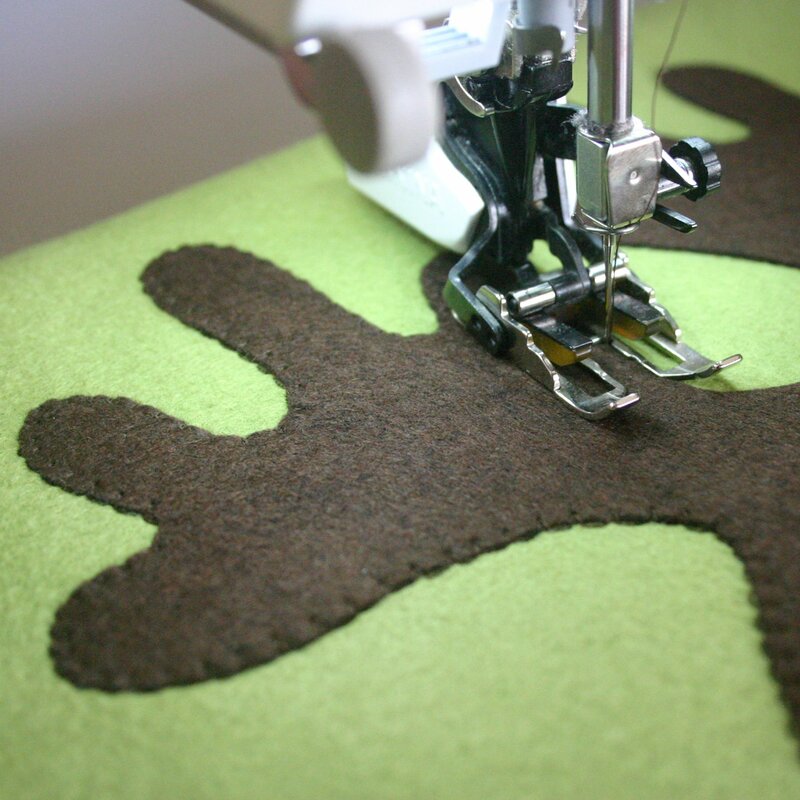 :: Trace the Reindeer Head, Nose and Eye pieces onto double sided interfacing and apply to the brown, red and white felt and cut out. 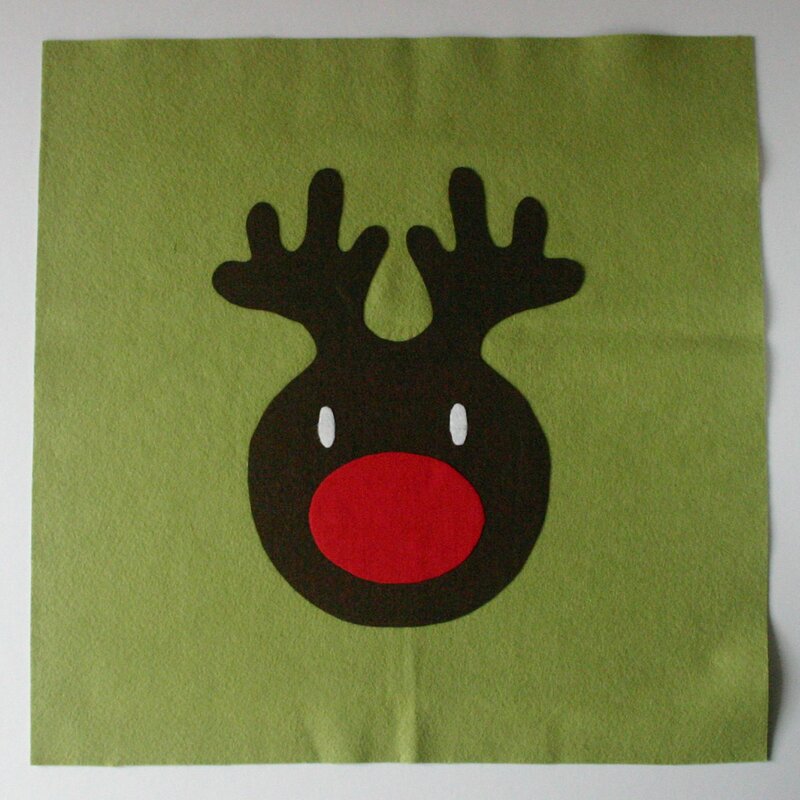 :: Remove the backing paper and position the Reindeer Head, Nose and Eye pieces on the cushion front. 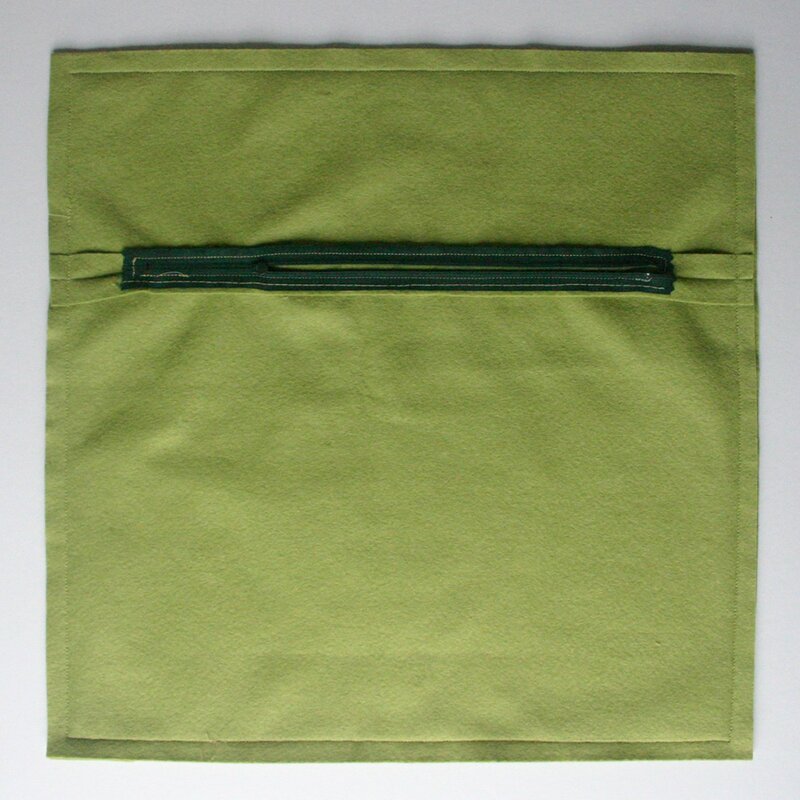 Fix in place following manufacturer instructions for the double sided interfacing, using a pressing cloth if required. :: Sew around all of the raw edges of the Reindeer Head, Nose and Eyes. You could use a zig-zag, satin, blanket or blind hem stitch. :: Take the Cushion Upper and Lower Back pieces and place right sides together. 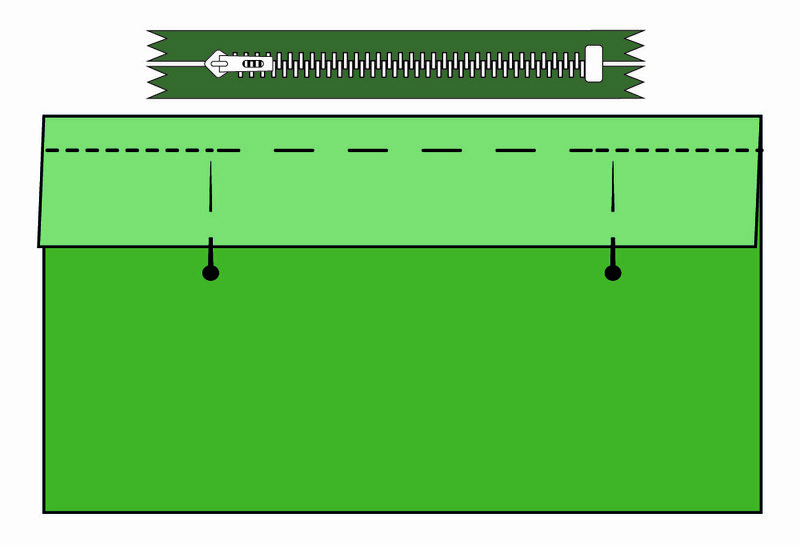 Position the zip in the middle. Mark on the fabric each end of the zip and insert a pin at each end. 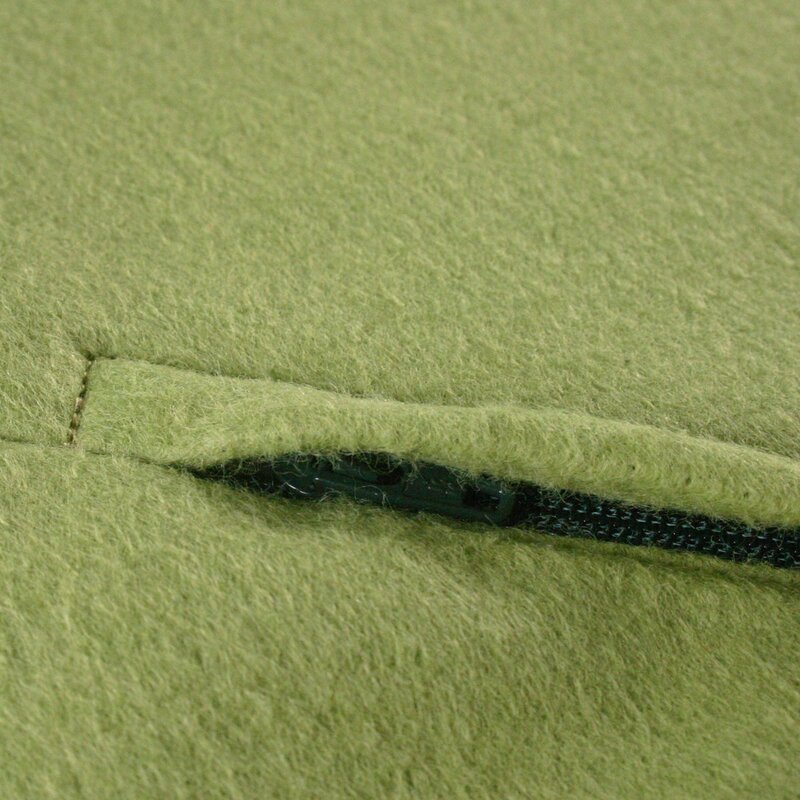 :: Using a 5/8” seam allowance, sew from the outside edge to the first pin and make a couple of back stitches. 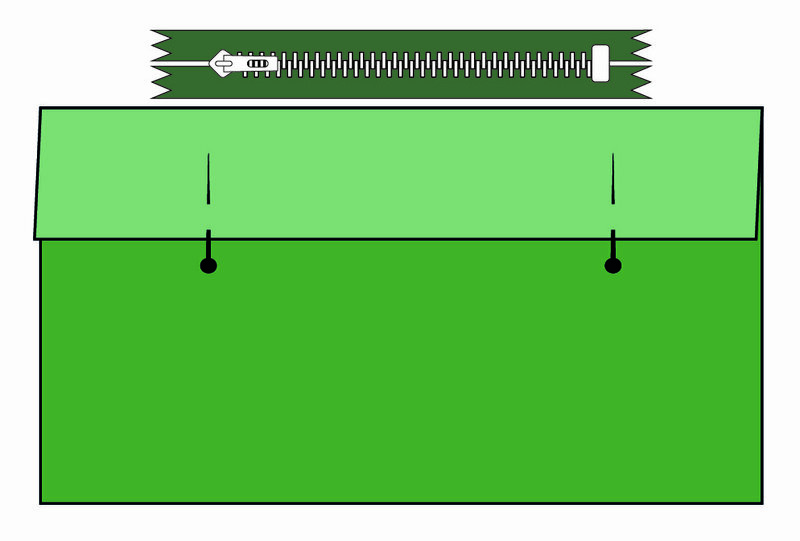 Sew between the pins with a long basting stitch. At the second pin start sewing on a normal length stitch and make a couple of back stitches then sew to the end of the seam. :: Turn back the seam allowance of the (smaller) Upper Back section. Open the zip and place the zip face down on the seam allowance of the (larger) Lower Back section between the two pins that you inserted in the previous step. Baste in place along the outer edge of the zipper tape through the Lower Back seam allowance. 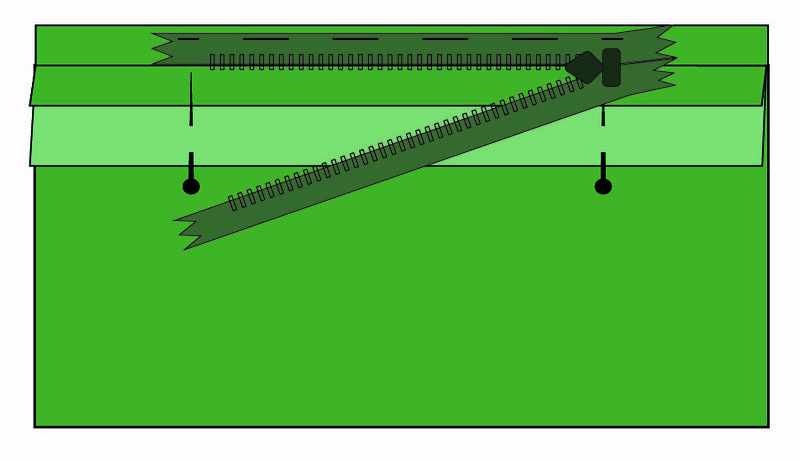 :: Turn the Upper Back seam allowance back on itself to create a little fold under the zipper teeth (this will flip the zipper back to the right side uppermost). Sew along the little fold, backstitching at each end. :: Remove positioning pins and turn Back of Cushion Cover over so the right side is uppermost. :: Pin the second half of the zipper tape in place from the right side, checking that your pins are catching the zipper tape on the reverse. 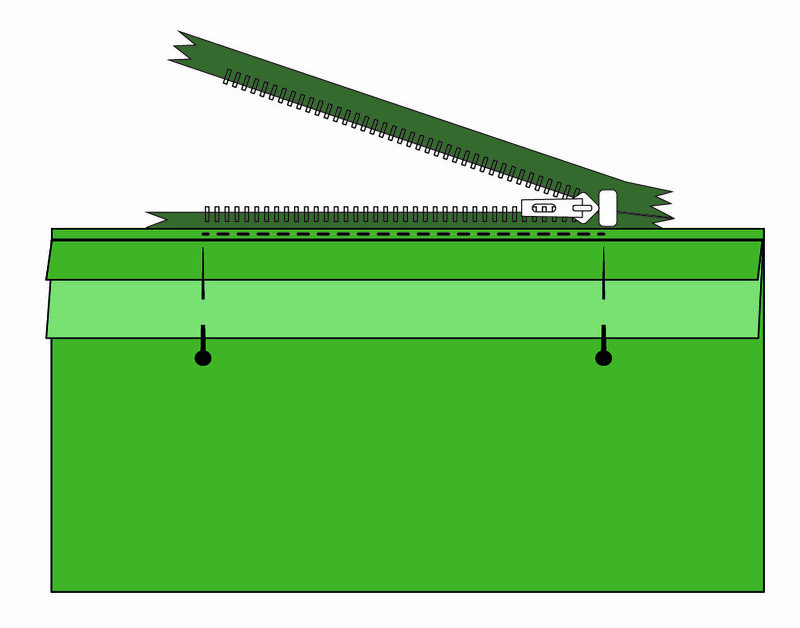 :: Top stitch the second zipper tape in place, effectively three sides of a rectangle, checking that you have caught the zipper tape with your stitching. :: Insert your cushion/pillow pad and you’re done! 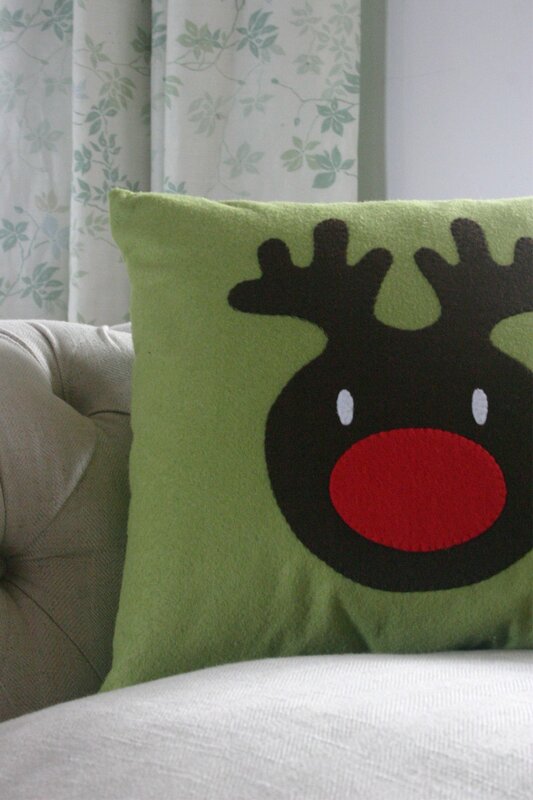 If you’ve made a cushion and are uploading pictures onto social media use #reindeercushion. You’re also more than welcome to join in at Little Black Duck: In the Sewing Room on facebook, we love to see your makes. 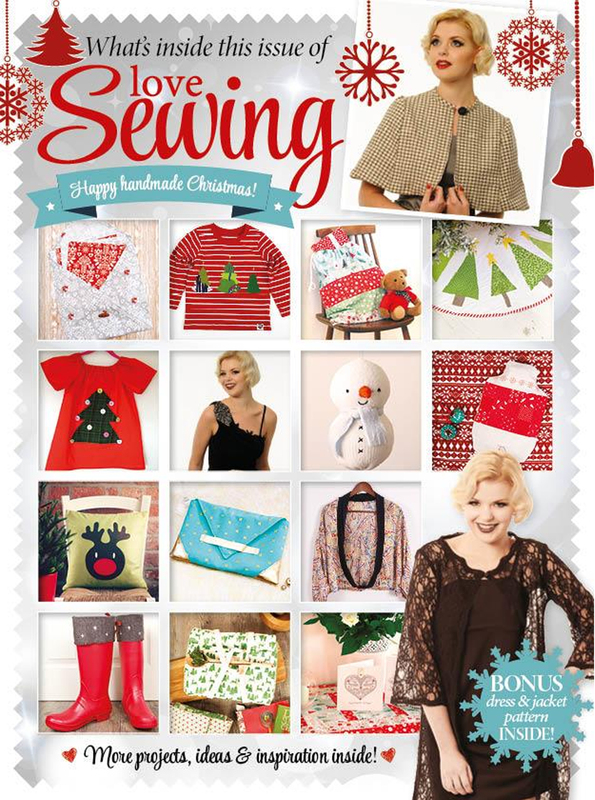 By the way, this project originally appeared in issue 8 of Love Sewing. If you would like to buy a copy have a look on the More Mags website or download a digital copy from their app. Here are some of the other great projects from issue 8.